According to the U2 front-man, he thought his head was harder than any surface that it came into contact with. 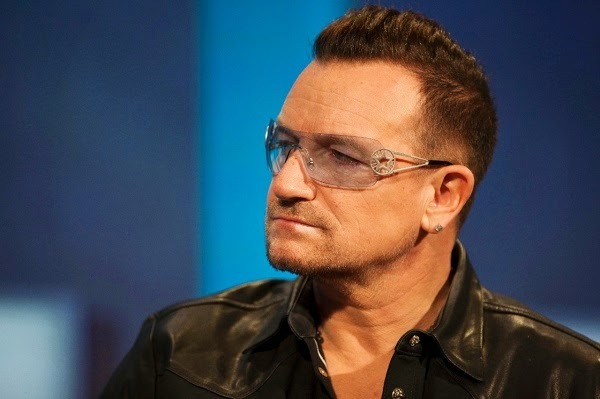 Bono is still recovering from the accident he was in last November when he was riding his bike in Central Park in New York City. He suffered from several injuries, which included three fractures to his hand and left shoulder blade and he also had to go through reconstructive surgery. From then on, the singer’s whole outlook regarding his own strength has undergone a complete change. In his interview to the New York Times, the singer said that he had always assumed that his head was way tougher, but now he couldn’t think that anymore. He came off a push-bike rather than a Harley Davidson and was ‘smashed to bits’. Thus, there was no glory in what happened. The U2 singer had revealed in February that the damage could be serious enough to prevent him from ever playing the guitar again. It is still the same case sadly and the start has to come to terms with the fact that the movement of his hand will never be the way it was. He said that his hand seemed unfamiliar because he couldn’t bend it the same way. However, he also added that it takes time for the nerves to heal so he would know his fate for sure in the next 13 months. Currently, his hand is hard and numb whereas his face has healed almost completely and his shoulder has also recovered. After his accident, the band had had to cancel a week-long residency on The Tonight Show by Jimmy Fallon so they are all rearing up to get back on stage again. But, it will not be the same anymore because the 54-year-old will not be able to play guitar anymore. The singer said that his bandmates, Adam Clayton, The Edge and Larry Mullen Jr. don’t seem to mind the issue. U2 are currently in rehearsals for their Innocence and Experience tour, which will kick off on May 14th, at the Rogers Arena in Vancouver.